Send your big catch or junior angler's picture to pics@fishing-nc.com and you could be the next Featured Fisherman! Good luck & tight lines! Whether you are new to fishing in North Carolina or you have been fishing the NC coast all your life, Fishing-NC.com is here to help you stay up to date with anything and everything that impacts saltwater anglers. From current coastal events and saltwater fishing news, to North Carolina fishing reports, we've got all the fishing info you need to stay informed and successful on the water. Surf, inshore, and offshore - from Ocean Isle to Corolla, Cape Hatteras to Emerald Isle - when it comes to North Carolina saltwater fishing we've got you covered. Come on in, make yourself at home, and have fun fishing in the great state of North Carolina. We are currently working to improve Fishing-NC.com to continue to bring you the best online resource for saltwater fishing in North Carolina. We've just recently completed a major overhaul of the site and updated every page on the site. 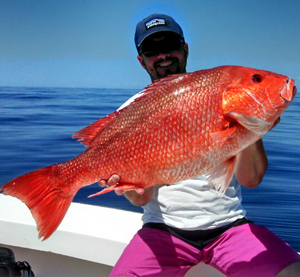 The charter boat fishing directory, marine forecast and fishing reports are all new and improved. As always, we are very appreciative for feedback and be sure to send us your fishing pictures. We hope you enjoy your visit. Become a fan on Facebook or follow us on Twitter for all the latest news and inside info.